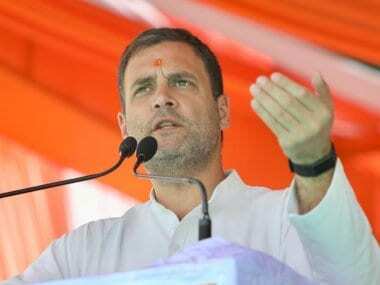 Congress president Rahul Gandhi’s decision to balance various factions of the party in Madhya Pradesh shows he is learning from his experiments with leadership in Punjab two years ago. 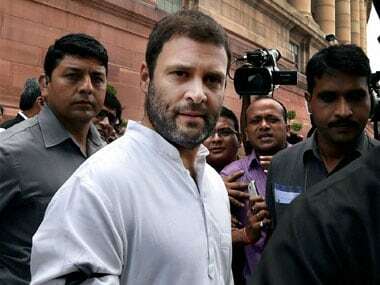 Unlike in Punjab, where he was forced to name local stalwart Captain Amarinder Singh as the state unit chief and candidate at the last minute, Rahul acted in time to address the leadership question in Madhya Pradesh by appointing Kamal Nath as the chief and Jyotiraditya Scindia as head of the campaign. It is widely believed that elections in Madhya Pradesh often turn into Congress vs Congress contests. There are so many factions within the party that on every seat, dozens of people start pulling the party in different directions. The BJP usually benefits from this internecine war during polls. Nath and former chief minister Digvijaya Singh were always major power centres in the state. Five years ago, when the Congress appointed Ajay Singh aka Rahul Bhaiyya, son of former chief minister Arjun Singh, as leader of the Opposition in the state Assembly and Arun Yadav as the state chief, it created more power centres. But that wasn't the end of it. Rahul’s elevation as chief of the Congress automatically resulted in the rise to power of his friend and advisor Scindia, who many see as the president’s choice for the chief minister's post. But as always, this problem of plenty created a headache for the party. Since Rahul’s elevation, an internal war has been going on within the Congress between the young and the older generation. The older leaders — who were powerful during the Sonia Gandhi era — begrudge the younger brigade (Scindia, Sachin Pilot, Jatin Prasada, Randeep Surjewala) their prominence under the new dispensation. With the rise of the ‘Babalog’ — sons of prominent politicians — the older generation feels insecure. A recent example of this clash of generations is Rajasthan. Here, former chief minister Ashok Gehlot, who has been the face of the Congress for two decades, is yet to come to terms with the state chief Pilot’s pre-eminence. This tussle has led to veiled attacks by Gehlot on Pilot’s lack of experience and forced Rahul to keep the former chief minister out of Rajasthan. Wary of Gehlot’s ambitions, Rahul first made him in-charge of the Gujarat polls. And recently Rahul shunted Gehlot to Jaipur, making him general secretary in-charge of party organisation. A similar generational war seems to have been averted by Rahul with Kamal Nath’s appointment as Madhya Pradesh chief. His elevation is a clear message that Rahul wants the Congress to fight under a collective leadership. He would address the issue of leadership if and when the Congress wins the Assembly polls slated for later this year. Like Amarinder, who often hinted at a rebellion, Nath was also giving the Congress sleepless nights. Earlier this year, there were rumours that Nath may quit the party and join the BJP. On his part, Nath publicly argued for Scindia being made the presumptive chief ministerial candidate, and hinted that the decision had already been taken. But for the Congress, both Scindia and Kamal Nath are important. Their value can be gauged from the fact they were the only candidates to win the 2014 Lok Sabha polls in the Hindi heartland, apart from the Gandhis. It stands to reason that the party needs both to take on the BJP in the next elections. Another development apparently forced the party to project a collective leadership. Former chief minister Digvijaya Singh recently undertook a Narmada Bachao Yatra in Madhya Pradesh. Though Singh announced he would stay away from electoral politics, the yatra was seen as an attempt to connect with the masses. 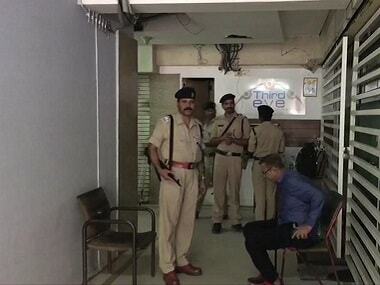 Its success — Digvijaya got a good response — pushed him back into prominence. And since Digvijaya was also in favour of Kamal Nath as the state chief, Rahul had no other option.